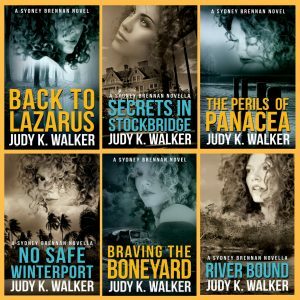 The Sydney Brennan Mysteries alternate between novels and novellas. Novels have yellow titles; the novellas have blue titles. Each book is a self-contained story, with no crazy cliff-hanger endings, and you won’t be lost if you pick them up out of order. However, each book does build upon the previous story. This is particularly true of the novels, and the build-up will become more important as the series progresses. You have been warned. For additional retailers, or if an ebook link doesn’t take you where you want to go, try the universal All E-Retailers button. Why would a man hang himself twenty-four years after beating and choking his wife to death? Tallahassee PI Sydney Brennan crisscrosses north Florida to reconstruct a tragic family history when she’s hired to investigate a murderer’s prison cell suicide. But by following in his murdered wife’s footsteps, does Sydney risk sharing the woman’s fate? 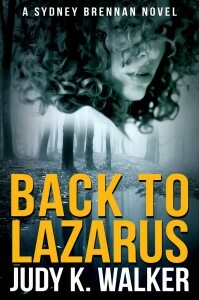 Back to Lazarus introduces Sydney Brennan, a Florida private investigator with a knack for getting into trouble who doesn’t know when to quit. If you’re looking for a mystery with believable characters and “just enough humor to offset the dark,” download Back to Lazarus for free today. How far would you trust your Ex when it comes to murder? Private investigator Sydney Brennan has reservations when wealthy businessman Bran Woodford asks her to deliver a Florida background check—in person—to his upstate New York home. A wise woman limits contact with her ex-boyfriend, no matter how big his bank account. But, as usual, when Sydney’s curiosity is piqued, wisdom flies out the window. Within 24 hours of Sydney’s arrival, there is a murder on the Woodford estate, and Bran quickly becomes the prime suspect. Is the victim’s shady past to blame, or does the motive for murder lie within the estate’s manicured grounds? 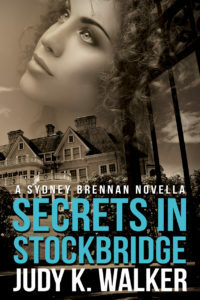 It’s up to Sydney to find the murderer, before the Secrets in Stockbridge can claim their next victim. For over a decade, JD Devereaux’s son has been raised to think his father is dead. But he’s not. At least, not yet. Private investigator Sydney Brennan agrees to track down Devereaux because she’d do anything to give her friend a chance at knowing his father. Of course, Sydney believes the most dangerous thing she’ll face in the Florida Panhandle is memories of her most recent investigation. She couldn’t be more wrong. Devereaux is a man on the run. He doesn’t want Sydney’s help, dodging her at every turn, and he refuses to tell her who’s after him or why. 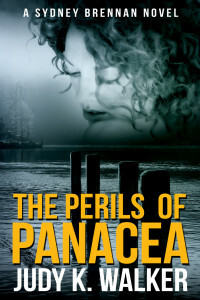 Soon dead bodies start dropping, and Sydney isn’t about to let Devereaux become the next victim. But when they’re outgunned and outmaneuvered, will Sydney’s quick wits and stubborn streak be enough to keep them alive? A cop who hates you, a hurricane, or your big sister… which would you rather spend time with? 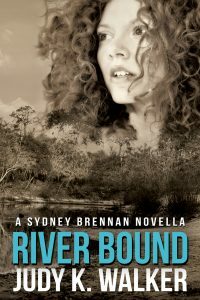 Spending a week with her estranged sister in Winterport, Florida, isn’t exactly Sydney Brennan’s idea of a vacation. The Tallahassee PI anticipates seven days of intense dysfunction, leavened only by moments of painful boredom. Instead, the two women are caught up in a violent crime, and the brother-in-law Sydney has never met remains strangely absent, leading the local sheriff to suspect him of murder. Meanwhile, Sydney’s sister just can’t let family history lie, even with a hurricane bearing down on central Florida. Vacation or not, it’s up to Sydney to figure out what her brother-in-law has gotten himself into and track him down. 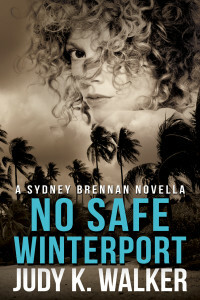 Because without Sydney’s help, he really does have No Safe Winterport in a storm. Sometimes the darkest secrets just won’t stay hidden, no matter how deeply they’re buried. 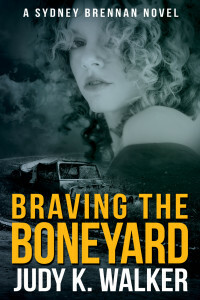 Private investigator Sydney Brennan has had a difficult few months. 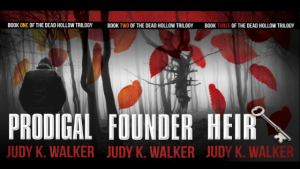 The last thing she wants to do is work a demanding criminal trial. But longtime friend and mentor Ralph Abraham owes a debt to a dead man—the defendant’s father—so when Ralph asks for her help Sydney can’t refuse (even if the only thing worse than the defendant’s case is his attitude). Is it bad luck to get held at gunpoint on a first date? Sydney Brennan isn’t exactly the outdoors type, but the Tallahassee PI can’t say no when her investigator friend Mike Montgomery asks her on an unconventional first date. A lazy day canoeing down an idyllic Florida Panhandle river, with Mike providing a picnic lunch and most of the paddle power—what could go wrong? A lot, and this time it’s not even Sydney’s fault. This website participates in the Amazon Services LLC Associates Program, an affiliate advertising program designed to provide a means for sites to earn advertising fees by linking to Amazon.com. It participates in similar affiliate programs with other book retailers. This means, at no additional cost to you, I will earn a small commission if you click through my link and make a purchase.